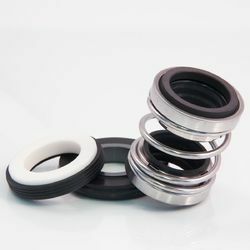 The Spring Energized PTFE Seal is a spring- energized, pressure-assisted sealing device consisting of a PTFE seal encapulating a corrosion-resistant metal spring energizer. Series: These seal designed to handle abrasive, slurry, sludge, sewage and viscous fluids. 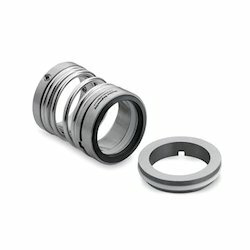 Different seal materials and design available according to applications. Backed by the valuable assistance of our diligent professionals, we have been able to provide an impeccable assortment of Spring Seal within the specific time frame. Generally used in sewage application, waste water pumps & fuel injection pumps. One can avail from us a quality approved assortment of Spring Seal.